You do not hear much about Artemisia in Perfumeland. I wonder why that is. Does everybody find it unworthy of reviewing? Is it not marketed enough by Penhaligon’s, so nobody knows about it? Is it so bad, it is shunned by those in the know? Is is so good everybody who tries it want to keep it for him/herself? Artemisia was created in 2002 and includes notes of Nectarine and Green Foliage, Green Apple, Lily of the Valley, Jasmine Tea, Violet and Vanilla, Oakmoss, Sandalwood, Musk, Amber and Vanilla. If I had started out reading the notes list, I probably would not have bothered with Artemisia in the first place (Aha! Maybe that is one reason for the google blankness on this fragrance!) It sounds like a right fruity-floral, doesn’t it? Hmm, I am stumped. (Aha! Maybe that is the reason for the google silence on the subject!) Artemisia presents itself to my nose well rounded and perfectly formed. Whenever I try to get an angle on it, it slips away from me. There is no entrance into this perfume, no starting point, no similes, no metaphors. All I can come up with is: It smells good (if slightly boring – hmm, another possible reason for the Artemisia embargo). That is a bit weak for a review, isn’t it? So what do we know: Artemisia presents a problem. For someone who sits down daily to write a perfume review, to not find a single possible descriptor for the perfume under my nose – this is interesting, to put it mildly. It makes me feel half incompetent, half amused. I may be totally out of it, or I may have found the un-analyzable perfume. Therefore I want to ask for your help. If you know Artemisia, please help me out. What do you smell? What is your angle, your approach? What does it say to you? This entry was posted in Floral, Fragrance Reviews, Fruity, Penhaligon's and tagged floral, Fragrance, Penhaligons, Perfume, Review. Bookmark the permalink. p.s. I am off on holiday this evening (with my unopened SSS & Histoires sample packs – woo hoo), so a very happy Easter to you and your family. I vastly prefer Amaranthine as well. Thanks for your input, Alexandra. Maybe Artemisia is a floral meh and no more. It’s been a while since I wrote this review, and in the mean time I find myself mostly bored, rather than charmed, when I smell it. But getting the input of others surely seemed worth getting in any case. And Ormonde Woman for Artemis is an inspired choice! Do you have perfumes assigned to the entire Pantheon? Oh, I love that! Thank you!!! Thank you! My best friend and I were discussing which goddesses go with which scent. I’m so happy there are like-minded folks out there discussing similar things. Persephone is and was always my “favorite”. And Voleur de Roses is just perfect for her! I am not familiar with Artemisia, but I can certainly recognize the sensation of boredom with a perfume that is well balanced and should work very well in theory. I wore Parfum d’Empire Iskander yesterday and had the same experience – it smells very nice, very nice indeed – but it also became clear to me as the day went by that I was bored – and that’s saying quite a bit, because I’m no thrill seeker when it comes to perfume. I like linear and fairly uncomplicated scents that won’t tug at my shirt all day long demanding my attention. Iskander is a good perfume – it stayed all day and all evening – but I was still disappointed. Too few surprises and thrills even for me. Too un-sensual. Genderless – but not in the unisex kind of way. There is after all such a thing as a perfume that is too *nice*. Judging from the list of notes for Artemisia I wouldn’t have guessed that it would fall into that category – with the sandalwood, musk and amber. Understatement is a wonderfully British trait and I share your fondness for it. Penhaligon’s is a funny outfit. In my head I split the line into two parts – before Amaranthine and after Amaranthine. It was such a game-changer for the house and since then they seem to have moved from that fusty, slightly bland and über-British persona to something much more interesting and lively. I totally agree – Amaranthine changed the game. Duchaufour did, probably. Hiring him was certainly a step into a new direction and a good one at that. Duchaufour definitely has a touch of magic about him doesn’t he? Although I do worry that he may be spreading himself a bit thin these days, he is everywhere. He luckily doesn’t have a particular style of signature that we could get bored of. But his range is amazing, I don’t see myself getting bored with him either. The other day I sat and smelled Vanille Absolument, Traversée du Bosphore and Nuit de Tubéreuse alongside each other. Other than the fact that they are all works of genius you wouldn’t be able to know they were from the same perfumer. I love Artemisia! It’s one of my favorites..also a secret, as it’s uncommonly known. It’s soft & cuddly, it is a bitter green too, there is complexity in this fragrance yet its simple. Artemisia reminds me of the smell of the plants Wormwood & Mugwort, both Latin botanical name’s “Artemisia”….. sweet bitter greens! thanks for sharing your opinion. I’ve never thought about it that way before but Iguess you do put each perfume on the couch and psychoanalyze it! I’m always impressed that you have as much to say as you do. I really don’t know Penhaligon’s much at all. Shame on me as they’re English but I find it hard to get excited by them. I should ask Vanessa to give me a tour of their perfumes one time we meet. We both had nose fatigue by the time we got to them at Harvey Nichs. I scurried to my swap box to find my sample of Artemisia so I could comment on your post… :- ) The mere fact that it is in there in the first place tells its own story…It is an oddly sweet *and* sharp floral to my nose – I get Rose’s bitter greens but also a fruity quality, presumably from the nectarine. It doesn’t smell particularly modern and clearly came from before the “Amaranthine watershed”. Beyond that, I am afraid I have nothing helpful to say either! My brother – whose PhD thesis was on “conceptual geography” – once remarked to me that in town planning terms Glasgow was “illegible”, meaning that people’s mental maps of how it is laid out were vague and fuzzy. Artemesia appears to be the scent equivalent! Wonderful piece! I have always had the same perception of Artemisia. Birgit, you put into words what my experience has been with it. I like it very much, but I’m not in awe of it. When I am missing Hampshire, or West Wales, I apply it and savor a good cuppa, and remember how much I love the UK. It is perfect for those times. To me, it is a perfectly lovely English perfume. I’m crazy about the opening, but as it wears it becomes a bit too powdery. I must say this, though – I visited Penhaligons in Covent Garden last time I was in London. 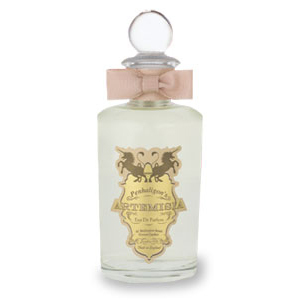 I specifically went there to “experience” Penhaligons, on the advice of my best friend who loves the house. I did not know much about the brand or product. It was quite a small, close, and not-so-well ventilated space, on a warm and busy Covent Garden Saturday. I could not discern any notes after about 5 minutes. I was enthusiastic and delighted to be there (not in a “loud American” way, mind you!) The SAs – not so much. Ah well.. So I have learned about and experienced Penhaligons via samples and others’ reviews. 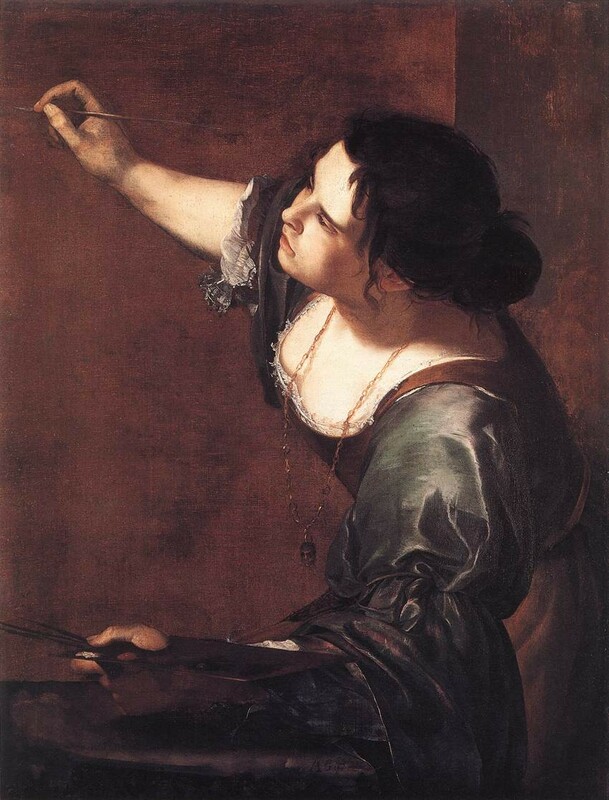 I’ve haven’t tried Artemisia (and after this I’m not that tempted), but I adore Artemisia Gentileschi! Can I complain first? For the unknown reason WP suddenly decided not to inform me about this post. I was even worried what happened when I didn’t see the regular scheduled posting in my inbox. I re-subscribed, so I’ll see tonight if it’s fixed. Now to the topic. “I really don’t know Penhaligon’s much at all” ((c)Tara). It’s barely available where I live so I’ve tried just several perfumes from this house and since it wasn’t love at first sniff I didn’t insist on discovering the whole line. I’m mildly curious now about Artemisia and will try it if I come across – but only because I like checking my perfume compass against yours, Dee’s and some other favorite bloggers’. It is flattering to hear that you want to try Artemisia anyway. Did you try Amaranthine? (I think I remember you did?!) That is a beauty. Well, it worked today so let’s think it was a fluke. I keep trying Amaranthine (because you, Dee and some other people whose taste I trust liked it so much) but so far I can’t see what others found in it. But I’m persistent! Next thing I might try will be the Dee-style therapy. I had this, but there was something about it that I just couldn’t connect with. I figured out why: Artemisia smells exactly like Donna Karan’s Cashmere Mist to my nose. I’ve read reviews and heard others describe it as such, too. Thanks for your input, Nina. It is a self portrait by Artemisia Gentileschi, yes. Every time I see the name MiN NY come up (which is often) I could bite myself for neglecting to go there in November when I had the chance… grrr. I don’t know Artemisia, but I am interested in it from your review. I love that this one seems to engage the mind as well as the senses.